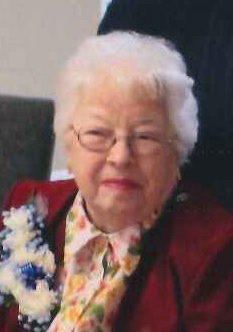 Remembering Vivian G. Mouser | Remembering Vivian G. Mouser | De Soto Obituary Search | Dietrich-Mothershead Funeral Home, Inc. Remembering Vivian G. Mouser | De Soto Obituary Search | Dietrich-Mothershead Funeral Home, Inc.
Vivian Geraldine Mouser, 80, passed away peacefully at Delmar Gardens South on September 18, 2017. She was born on October 12, 1936 to Roy & Grace (Evans) Griggs in Shirley, MO. Vivian married John F. Mouser on August 1, 1959. 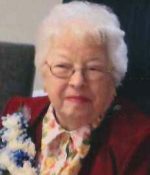 Besides her husband she is survived by her children; Martha (Terry) Stephens, De Soto; Marvin (Debbie) Mouser, Nashville, TN; grandchildren; Mark (Jessica) Stephens, De Soto; Matthew (Danielle) Mouser, Lynchburg, VA; Susan (Daniel) Ferrell, Pevely; Amanda Mouser, Nashville, TN; Megan Mouser, Jackson, TN; brothers: Delbert (Shirley) Griggs, Potosi; Rolla (Jeannie) Griggs, Potosi; and numerous nieces and nephews. Vivian was preceded in death by her parents; brothers, Williard “Bill” Loyd, and L.P. Griggs; sister-in-laws, Cecil, Thelma, Virginia, and Hattie Griggs. Vivian enjoyed sending cards to people which she continued to do after many years of sending cards for the Joy Makers, First Free Will Baptist Church, De Soto. She sent thousands of cards over her lifetime and many people knew she was sick when they no longer received their cards and will miss her thinking of them. In lieu of flowers, Vivian selected two things closest to her for donations. Joy Makers, First Free Will Baptist Church, 1401 South Fifth St., De Soto, MO 63020 or John & Vivian Mouser Scholarship at Welch College, 1045 Bison Trail, Gallatin, TN 37066 (please note for Mouser Scholarship).